Schüler, D. EU’s ore and metal import flows and engagement towards responsible sourcing in industry supply chains. 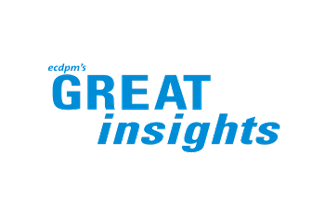 GREAT Insights Magazine, Volume 6, Issue 3. July/August 2017. Resource-rich countries and the EU are closely connected by complex raw material flows. This article shows the origin of EU metal imports and outlines the related EU responsibility for social and environmental impacts and a higher net-benefit for resource-rich developing countries. Resource-rich countries and Europe’s downstream companies are frequently connected by complex raw material flows. Highly import-dependent Europe imports raw materials in different degrees of fabrication. In the metal sector, Europe not only imports large amounts of ores and concentrates, but also high amounts of refined metals, processed metal compounds and alloys, as well as intermediate and end products. This strong global interdependence calls for European’s commitment for global responsible sourcing. It is a key driver for Europe’s engagement and active roles for reducing adverse social and environmental impacts in global raw material supply chains and for supporting efforts to harness mining related developing potential. For the EU’s supply of the base metals iron, copper, and aluminium (bauxite) and three further strategic metals (platinum, tin and lithium), Figure 1 indicates the global origin of EU imports and the global major mining countries regardless of their export destination. 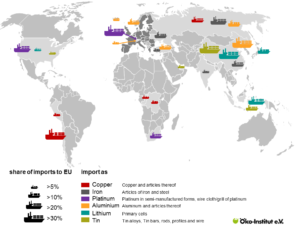 For iron, aluminium and copper, the figure shows the main origin countries of EU ore imports. For lithium, platinum and tin, which are mostly exported after a first processing stage, the figure shows the EU imports of the corresponding intermediate products at an early processing stage. South America’s mining sector faces a number of challenges, such as tailing dam bursts, water scar-city and local conflicts due to environmental pressure and socio-economic problems. In Africa, Guinea ex-ports most of its bauxite to Europe and is thus the EU’s main bauxite supplier. 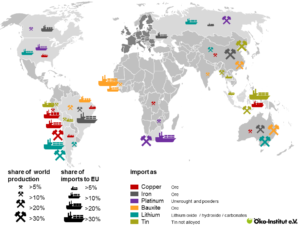 For other metals, other re-gions play a prominent role for EU imports, e.g. South Africa (platinum) and Indonesia (tin). Related chal-lenges are issues of violent social conflicts (platinum from South Africa), maritime ecosystem degradation from offshore mining (tin from Indonesia) and missing links to local socio-economic development (bauxite from Guinea). Besides the outlined countries, further countries are relevant for the EU’s ore and unwrought metal supply, e.g. Philippines (nickel), USA (zinc, molybdenum), Australia (zinc, titanium), Bolivia (zinc), Turkey (magnesium), DRC (cobalt, tantalum, tin, gold), Gabon (manganese), Canada (titanium), India (titanium), Norway (titanium), and China (rare earths). The origin of EU imports of the six selected metals as refined metal or other intermediate products can be seen in Box 2. Not surprisingly, a much higher number of countries are involved in the processing and manu-facturing of metals than just in the mining business. 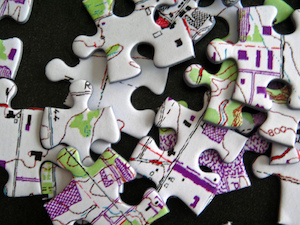 Thus the supply chain becomes much more complex when moving from mining to refining and manufacturing. Likewise, there is a drastic shift in the involved regions. As can be seen, the EU’s metal consumption is closely linked to global mining and production activities. 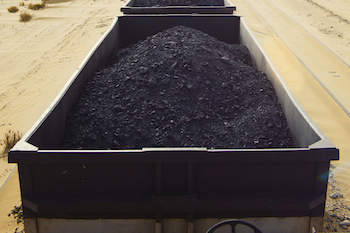 Besides the short connections via direct ore and concentrate imports, a considerable amount of imports stems from processing countries which themselves source at least some of the ores globally. China and Russia contribute significantly to this supply chain as well as various industrialised, emerging and developing countries. Recognising the close interrelationship of EU material flows and global mining and the economic importance of extractive industries in many world regions, and considering the fact that the EU is largely dependent on the import of minerals and raw materials, the EU committed itself to actively contributing to a more sustaina-ble sourcing of raw materials from other world regions. supporting international efforts such as OECD due diligence and the Extractive Industries Transparency Initiative (EITI). In addition to this, a crucial question is how mining can contribute to sustainable development in re-source-rich countries. This requires a conceptual shift away from a singular analysis and mitigation of impacts to a more comprehensive analysis and encouragement of contribution. A key issue requiring attention in emerging and developing economies is unequal risk sharing, particularly if resource-rich developing countries carry all the environmental, health and safety risks and yet don’t succeed in generating greater benefit from mining. Raw material importing industrialised countries carry none of these risks but strongly benefit from the raw materials used for their consumption and their extensive industrial activities. This unequal distribution of risks and benefits calls for a higher net benefit for developing countries. This issue is closely related to the question of how mining can boost sustainable development. It is also relevant for the social license to operate, which requires communities’ perception of an adequate overall net benefit and a fair distribution of chances and risks. A further important issue is unequal sharing of benefit and risk within mining countries’ population, where benefits (such as employment, training and health care) may accrue largely to men and the local elite, while most risks (such as family and social disruption, increased prostitution, loss of gardens for subsistence agri-culture, pollution, and water losses) fall on the poorer women, the less advantaged, and the families they care for. 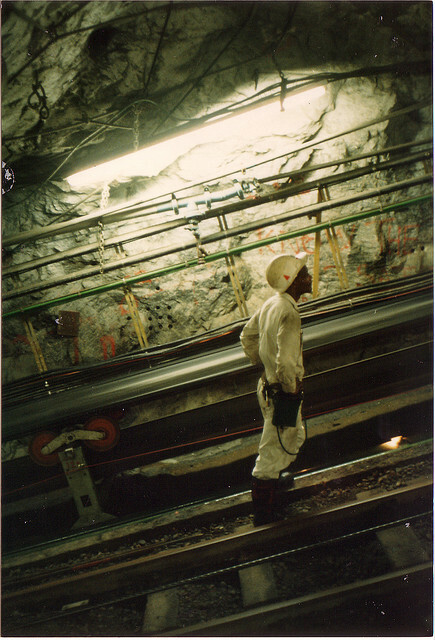 development cooperation & support of mining countries in the fields of policy development and implementation, as well as technical and fiscal aspects. The European Horizon 2020 project STRADE (Strategic Dialogue on Sustainable Raw Materials for Eu-rope) team will explore in upcoming dialogues how an alternative systematic ‘towards contribution’ policy can complement raw material policies, which currently strongly focus on supply security and free access to mar-kets. STRADE seeks to learn from past failures to develop new approaches that consider the interests of investors, companies, governments and local communities. 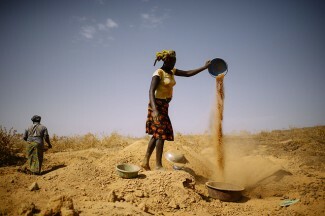 A comprehensive EU raw material policy, which includes responsible mining and fair trade schemes in its contribution to the Sustainable Development Goals (SDGs) as a foundation of its raw material sourcing and supply security, must go beyond the current development assistance, transparency legislation or legal response to conflict minerals. It must further consider the whole range of socio-economic challenges. This article draws from analysis under STRADE project, and in particular STRADE Policy Brief No. 02/2017 and Policy Brief 01/2017, available at http://www.stradeproject.eu/fileadmin/user_upload/pdf/STRADEPolBrf_02-2017_RawMaterialFlows_Mar2017_FINAL.pdf. 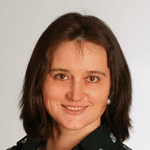 Dr Doris Schüler is Coordinator of the European Horizon 2020 project STRADE (Strategic Dialogue on Sustainable Raw Materials for Europe) at the Oeko-Institut e.V. Institute for Applied Ecology, Darmstadt, Germany.